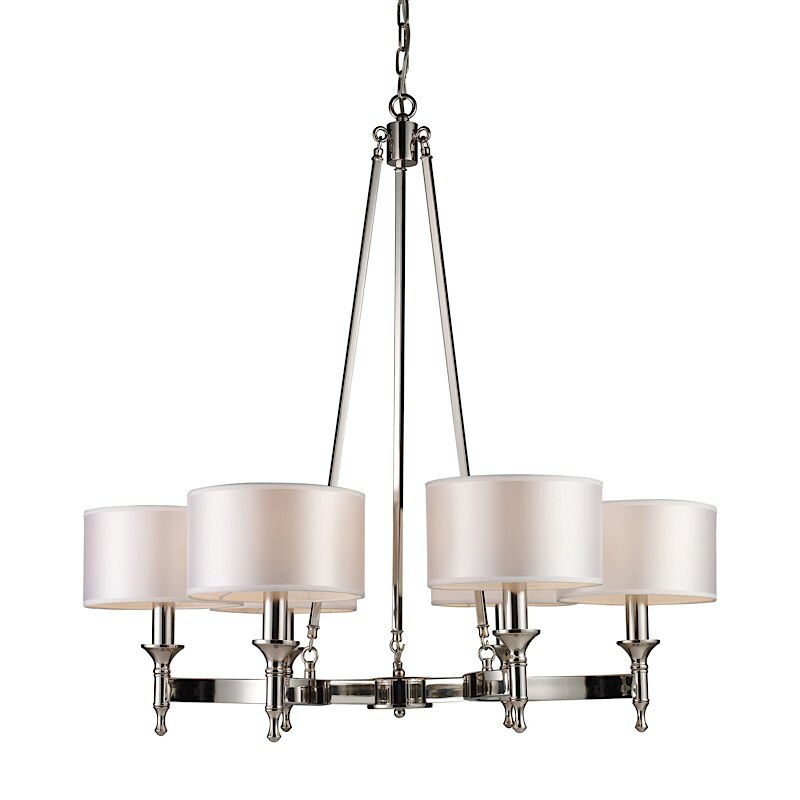 Timelessly elegant, the Pembroke chandelier features light fabric drum shades and either a polished nickel or brushed antique brass finish and a concave arm design for a distinct appearance. 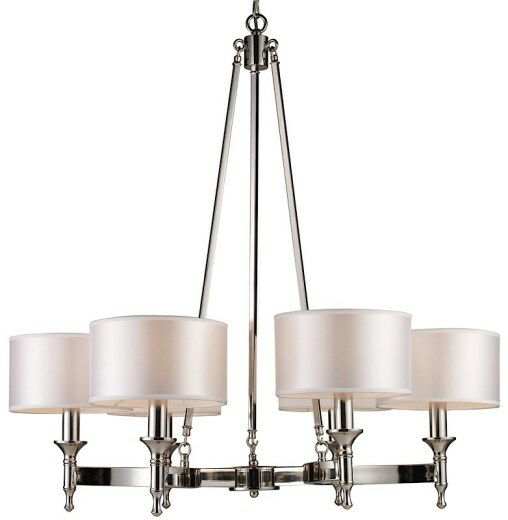 Let this modern yet classic chandelier transform your space. This lighting fixture looks cultured and sophisticated. Uses (6) 60W candelabra bulbs.